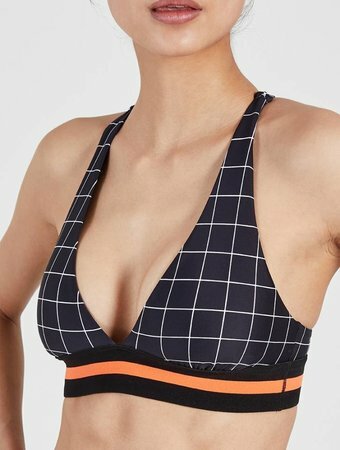 Workout in style with the Figure Four Sports Bra in Black, a stylish high-neck sports bra with sheer mesh inserts and a cut out keyhole at the back for ultimate breathability whilst you work up a sweat. 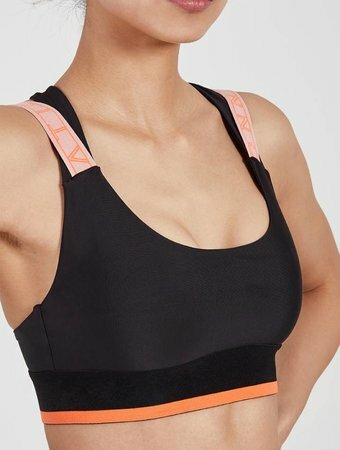 Featuring a racerback for freedom of movement and a comfortable branded jacquard underbust elastic offering perfect support for low-medium impact training. 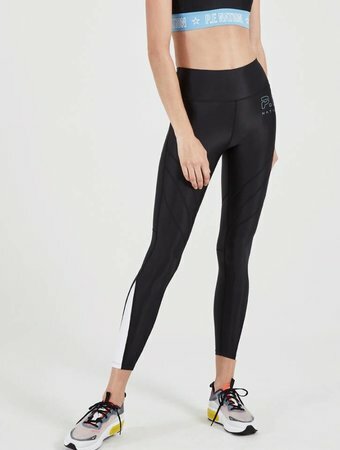 Complete the set and wear it with the matching Race Runner Legging.